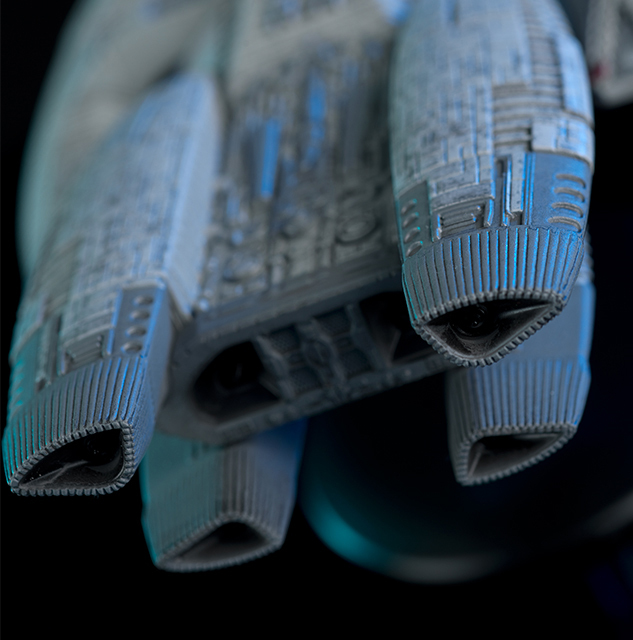 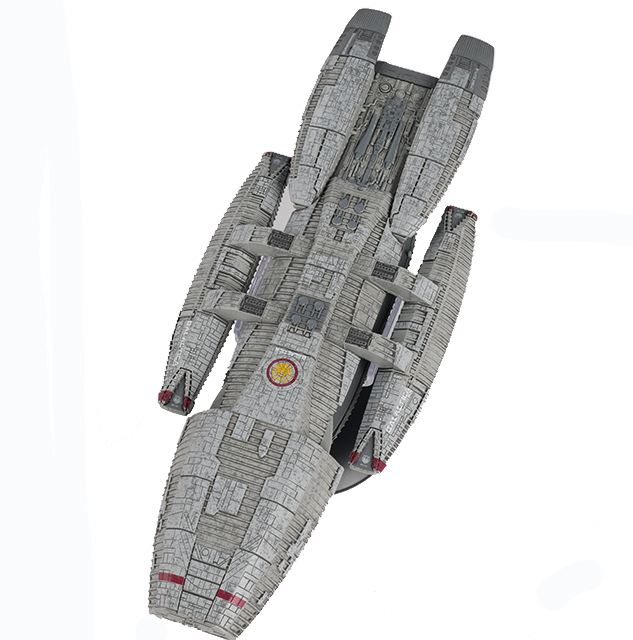 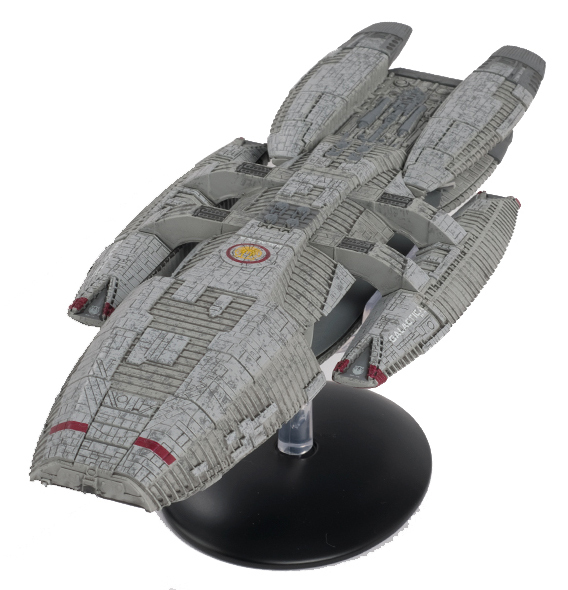 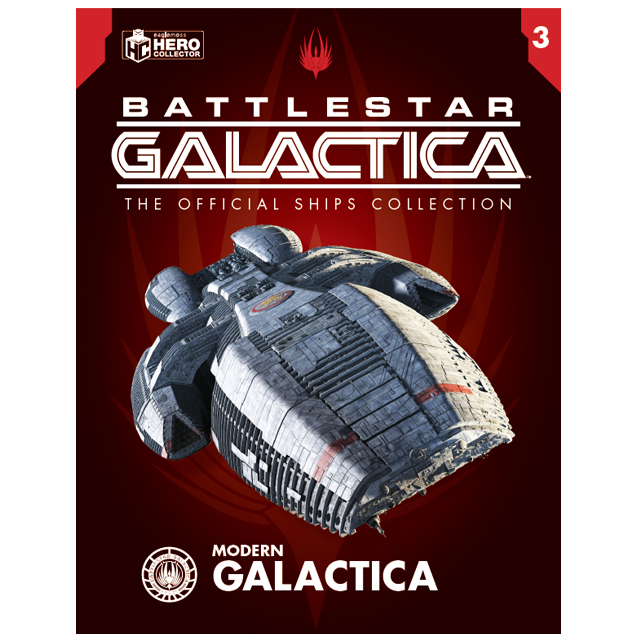 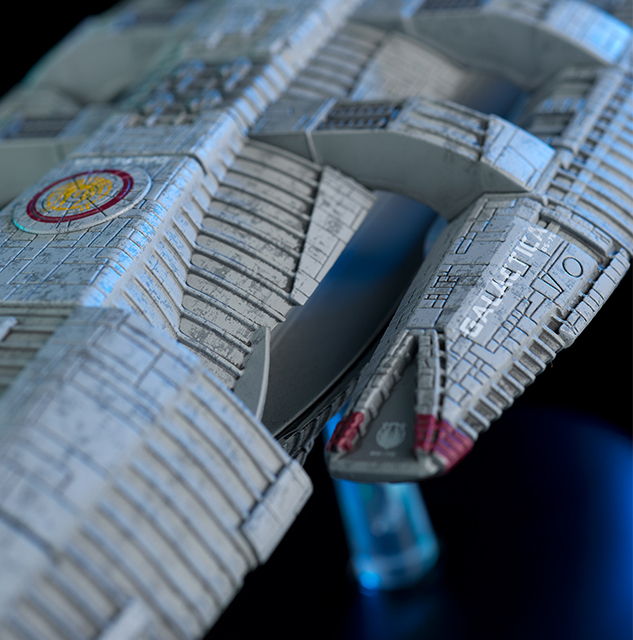 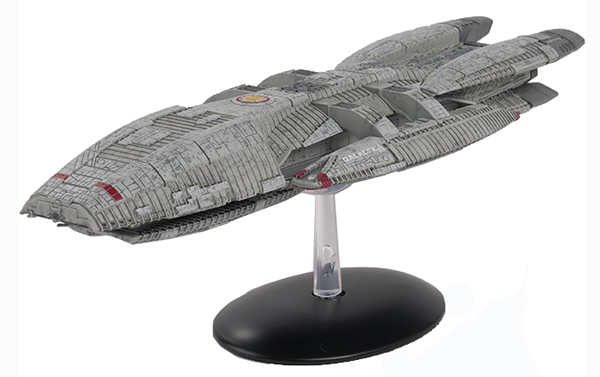 This incredible die-cast Battlestar Galactica measures approx 9.8 inches long and is brought to life in die-cast metal and high-quality ABS materials. 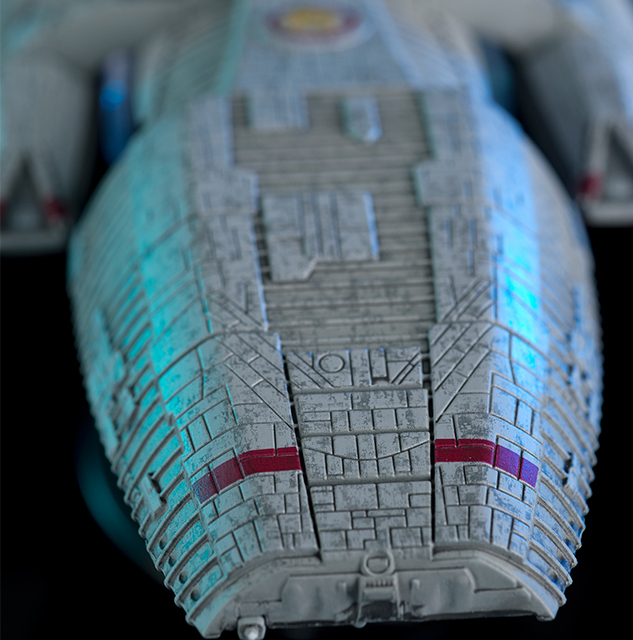 Its robust design means it can endure hundreds of conflicts and no other ship has more heart and soul than this battle-worn behemoth. 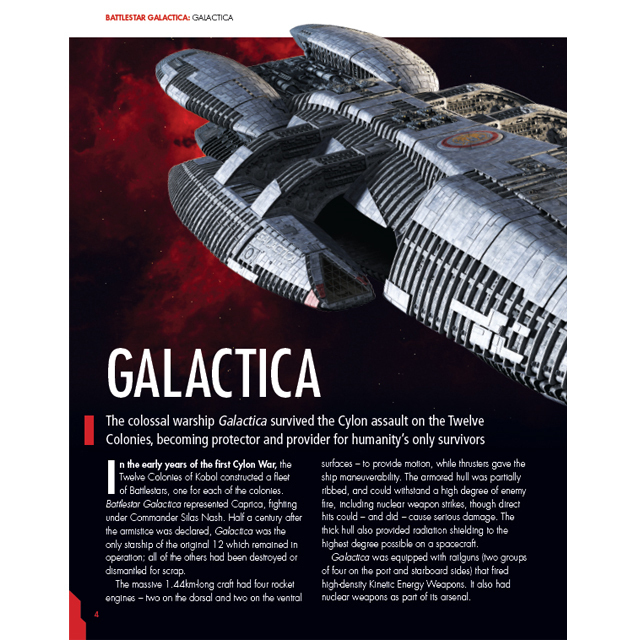 Comes complete with a 16-page collector’s magazine providing an in-depth profile of the ship, exclusive behind the scenes articles, original design sketches, and an interview with series developer Ronald D. Moore.